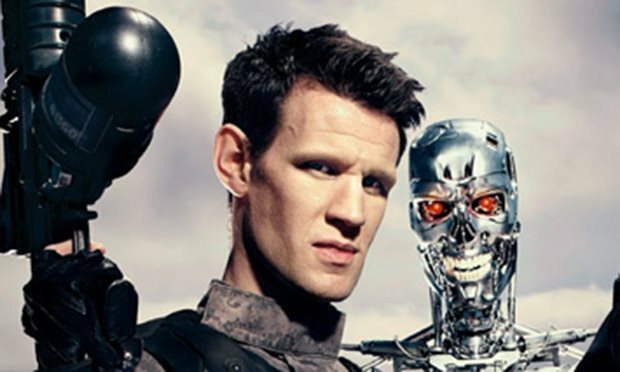 Matt Smith, Terminator: Genisys & His Questionable Career Choices | Warped Factor - Words in the Key of Geek. WARNING: Spoilers for Terminator: Genisys are included below. Almost a year ago I wrote a piece bemoaning Matt Smith's questionable career choices since leaving Doctor Who. Ten months on and the situation has hardly changed. Those of us that suffered through the unwatchable Lost River, a 'movie' with absolutely no redeeming quality, held out hope that maybe our beloved Eleventh Doctor's involvement in the Terminator franchise would correct that regrettable false start to his cinematic career. Smith's character was shrouded in secrecy. Known simply as Alex, it was teased that he would play an integral part in the story, with an increased role in the planned sequels. 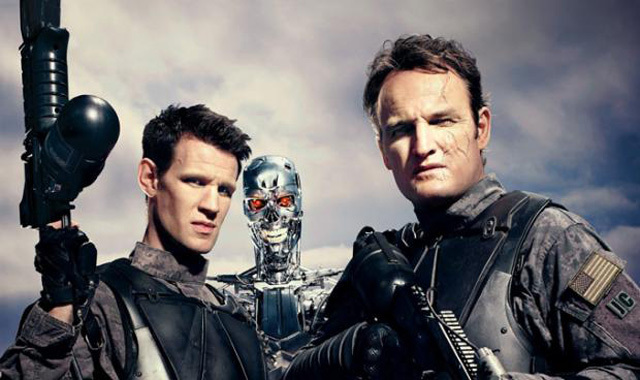 But really, could no one see from the preview picture that Smith was to be a new kind of Terminator? From turning him away from the "good characters" in one poster (below) to the picture with him, John Connor and a terminator skeleton (above), where you could clearly see the parallel from his facial structure, height and head position. Matt was a Terminator. And... he was! Duh. T-5000... from the far future. Wow. And yet on the web, I hear that the main argument is that the best scenes from Terminator: Genisys were given away in the trailer(s). But I think it was in-artful imagery that ruined it for me. One glance at a poster and the "secret" was obvious. I just despair for Smith. Was he just cast for the shape of his skull? Hopefully his skill was taken into account as well. The Terminator series started strong. James Cameron's first two films worked wonderfully, but revisiting has been a trial. A television series and other sequels failed to find a big enough audience, and here we have another soft reboot which seems to be a downright mess. And as for Smith's growingly important role in the two sequels? With mediocre reviews coming in there is some question as to if they will even be made. Us Smith fans know that he is better than the projects he's picking. But we also have to acknowledge that HE is the one picking them. With Lost River it appears that he was seduced by working with Ryan Gosling, and Terminator: Genisys seems to have been little more than fulfilling a boys-own fantasy - neither films chosen because of the quality of script or story. Coming up we have Pride and Prejudice and Zombies to suffer through. Speculation is that Smith's girlfriend Lily James (who is playing Elizabeth Bennett) drew him to the project, but true or not a movie appealing to lowest-common denominator horror fans is unlikely to help Smith's Hollywood escapade. There is some possible hope for his future career, as more interesting looking are both the global pandemic tale Patient Zero, and Smith's upcoming portrayal of Prince Philip in The Crown. Maybe with one of those two he'll have finally picked a winner. Time will tell.